Ten natural ways that may help you to fight and prevent cancer. in helping to treat and/or guard against cancer. n.b: This information has been carefully researched, using various sources, over several years. However, we do not advise using natural supplements as an alternative to conventional medical treatment. Nor do we claim to have found a cure for cancer. before adding any herbal supplements to your medical regime. Is perhaps the most exciting breakthrough in recent years of all the natural "anti-cancer" remedies as several studies have shown. It has great potential to both fight and prevent cancer and has been shown to kill and prevent re-growth of cancer cells too. 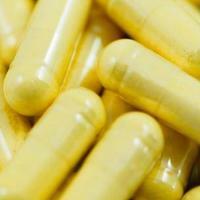 You can add turmeric to many recipes, and it is also widely available in capsule form in health shops. 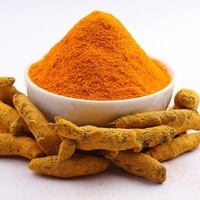 A powerful anti-inflammatory and anti-oxidant, turmeric is arguably the most effective nutritional health supplement we can add to our daily regime. As it has also been shown to have the potential to ease and heal many other conditions, it definitely earns our number 1 spot here! Vitamin D3 is normally absorbed by spending time in the sunlight. Differing lifestyles often prevent us from being able to do so, therefore taking a supplement can boost our levels. Research has suggested that women with low levels of vitamin D have a higher risk of breast cancer, and that Vitamin D may play a part in controlling normal breast cell growth and may be able to stop breast cancer cells from growing. 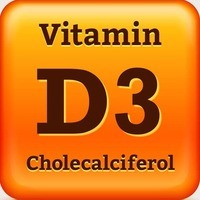 Numerous studies have also shown that higher intake of vitamin D is associated with a reduced risk of colorectal cancer. As Vitamin D3 has also been shown to have the ability to "correct" cancer cells , returning such cells back to a normal and healthy state, we believe that this vitamin is a must! It is believed that cancer cannot survive in an alkaline environment, and contrary to what you may have previously believed, when lemon juice has been fully metabolized into the bloodstream its effect is, in fact alkalizing. Research has shown that a daily intake of 75 grams of lemon might be the optimal minimum intake for those wishing to reduce the risks of cancer. 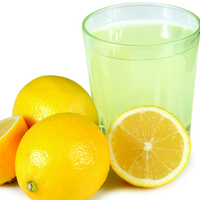 To reap the benefits you may like to start your day by drinking the juice of a lemon (diluted in water). To maximise the beneficial effects, you could also freeze a whole lemon and grate it onto your food or add it to soft drinks. As lemons are easily available and are also high in Vitamin C, why don't you give it a try? Research has shown that the anti-oxidants present in green tea have been found to prevent cancer cells from growing, and in some cases have even been reported to kill these unwelcome cells. Green tea contains the anti-oxidant Epigallocatechin-3-gallate (EGCG) and studies have shown that EGCG and other green tea antioxidants are toxic to cancer cells in laboratory experiments. 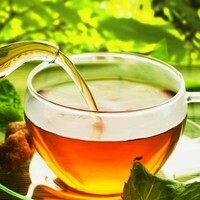 Green tea is also very effective in removing toxins from the body and is said to be a great immune system booster too. It is an acquired taste but quite pleasant when you get used to it! 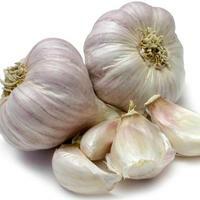 Allicin, which is found in garlic, is a strong anti-microbial, anti-parisitic, anti-oxidant . A powerful immune system booster, it is said to stimulate the body's defences against cancer. * As the potency of Allicin is minimised during cooking, it is recommended that it is eaten in its natural , raw state. This effective ingredient of garlic is produced when the clove is crushed or cut, but if you find the idea of eating raw garlic unpalatable, Allicin can also be found in capsule form. 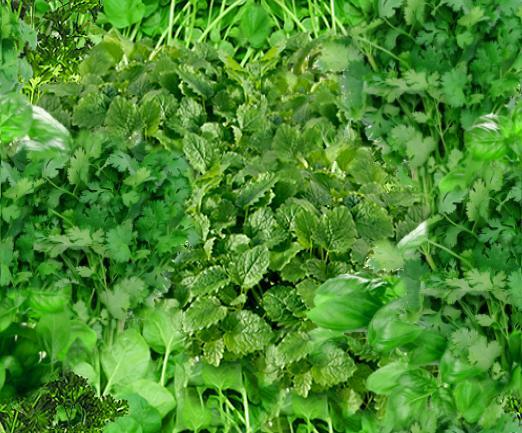 Goldenseal is a "natural anti-biotic", has anti-microbial properties, and is a good immune system booster. Most importantly, it contains Berberine. Research has shown that Berberine may arrest the cancer cell growth cycle and even induce APTOSIS (cancer cell death), showing strong cancer killing activity against tumour cells. Goldenseal can be bought in capsule form from any good health shop. Contain Lycopene - a cancer-preventative phytonutrient — an antioxidant with amazing benefits. Lycopene is thought to play a role in preventing and slowing several types of cancer. 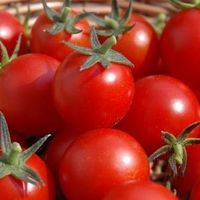 Unlike garlic, which is best eaten raw, research has revealed that the beneficial lycopene content of tomatoes actually increases when they are cooked. As so many recipes include the use of tomatoes, they an easy addition to your cancer fighting diet. Boosts the immune system and has the ability to attack and kill microbes, and is believed to have the ability to cause cancer cell death and more. 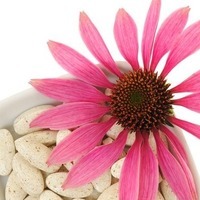 "The medicinal value of phytochemicals contained in Echinacea is clearly evident and indicates that these agents, as well as phytochemicals not yet discovered in other herbs, may be valuable tools to combat tumors." n.b: Echinacea can be bought in tea or tablet form and is also excellent for helping to guard against colds and flu, when taken immediately upon onset. *It should not, however, be used constantly over a long period of time. 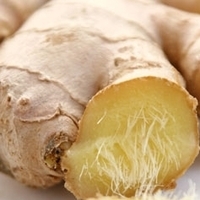 Compounds within ginger are believed to increase cancer inhibitors AND reduce inflammation in the body, thus reducing the breeding environment in which cancer needs to grow. Its anti-cancer properties have also been shown, in studies, to cause cell aptosis (cell suicide) in cancer cells. In other words, it tricks the cancer cells into killing themselves! One way to introduce ginger into your diet is to drink ginger tea, though you can, of course, grate fresh ginger into your food of choice. Mushrooms are natural immune boosting, anti-viral, antibacterial, anti-Inflammatory antioxidants. 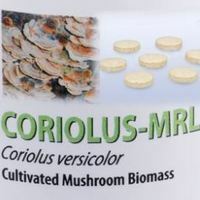 Coriolus, derived from the Coriolus versicolor mushroom , contains Polysaccharide Krestin (PSK). PSK has been used in Eastern countries for several decades to aid treatment of several different types of cancer. In fact, in Japan, PSK is an approved anti-cancer 'drug' with 20 years of impressive research behind it, so we feel it deserves a place here!